The French can grow stuff anywhere. 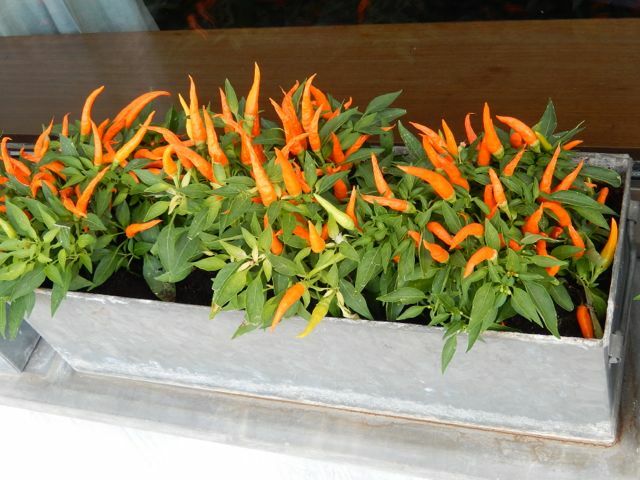 Peppers decorating the window ledge of a restaurant. 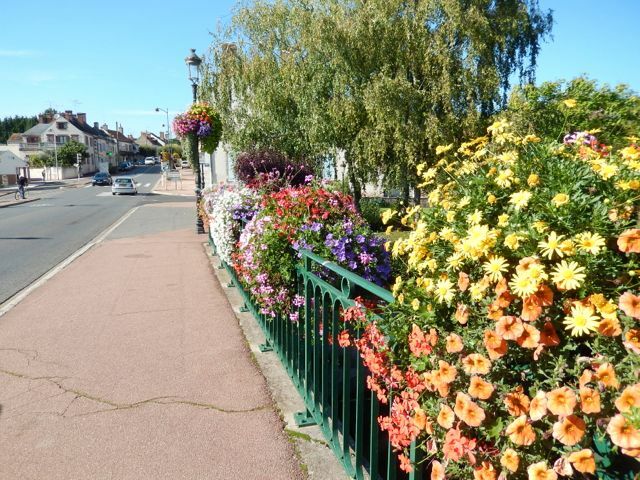 Flowers on a bridge railing. As you would expect gardens come in all different sizes, but typically their size is dictated by the amount of available land. 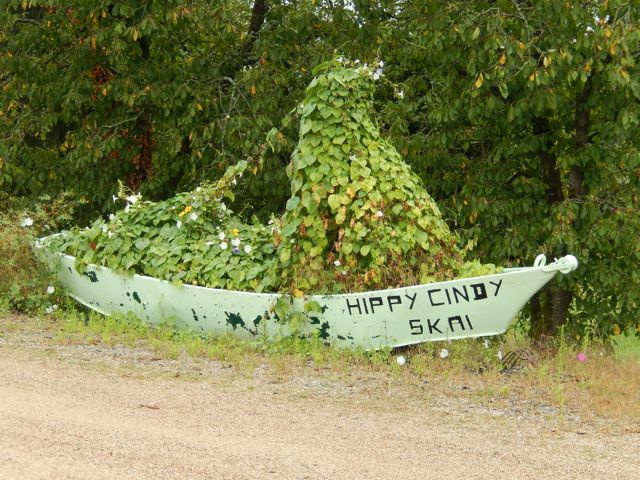 It is not unusual to see a homeowner’s vegetable garden fill his entire backyard. Most of the chateaus we visited also had their own gardens. Many were so large they required a full time staff just to maintain them. At one time the chateau garden was the main source of food for the owner and his employees, which could easily exceed fifty people. A typical backyard vegetable garden. Chateau de Digoine’s manicured garden. 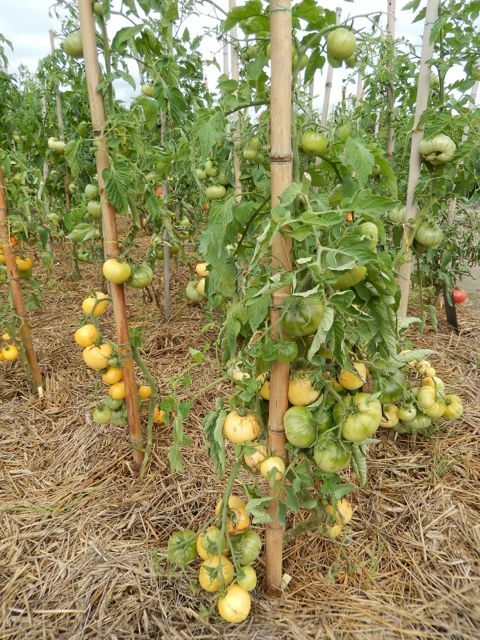 I know that tomatoes are easy to grow, and like most amateur gardeners Lisa manages a bountiful crop. Unfortunately we rarely get to reap the benefits of our homegrown tomatoes as we’ve been in Europe these past two summers. Lisa’s niece that keeps an eye on our home, along with a couple of other friends, garner the benefits of our absences. Now that’s what I call a bountiful harvest. What I don’t understand is that in the French markets it is hard to find decent tomatoes, yet every garden we saw had tons of beautiful mouthwatering tomatoes. 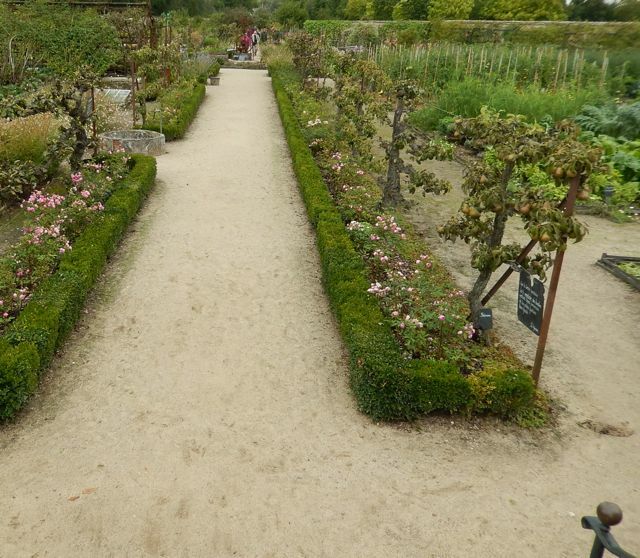 Some of the larger gardens also had fruit trees. Pears, apples and peaches were the most common fruits we saw. I can’t tell you how many times we would be walking down a sidewalk, and there would be a fruit tree hanging over a fence just loaded with beautiful ripe fruit. Do you have any idea how much self-control it takes not to reach up and grab a nice pear or peach? A miniature pear tree ready to be picked. 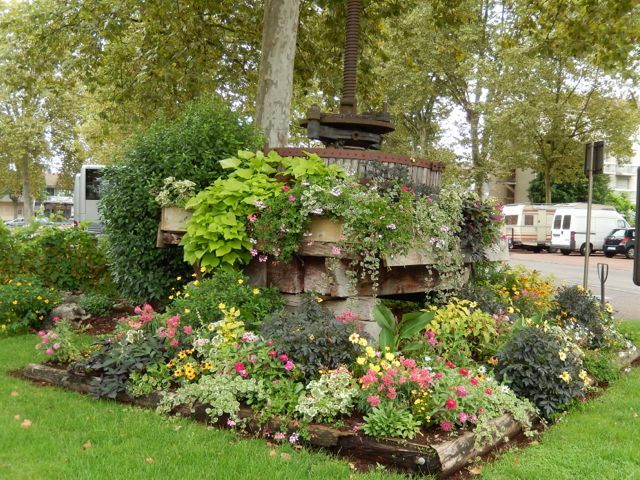 A grape press used as a planter. 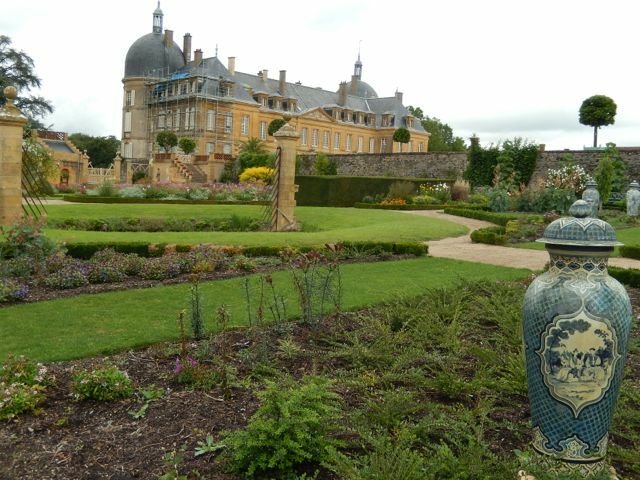 Of course the best garden we saw all summer was at Chateau de la Bussiere. 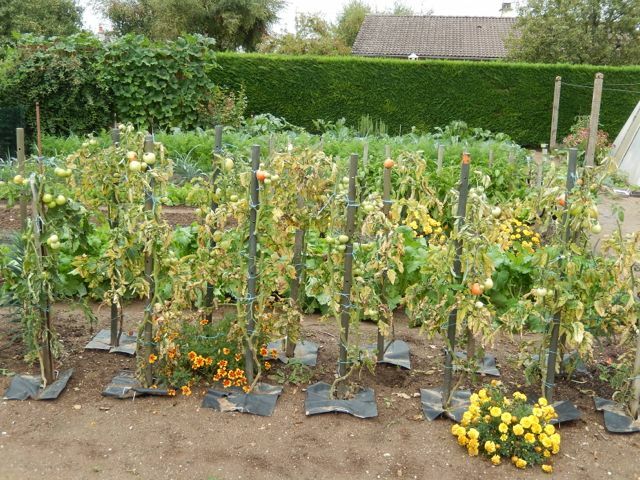 I’ve never seen an arbor with squash and watermelons hanging down. An added bonus was that we bumped into George and Susan the owners of the beautiful hotel barge Meanderer. They let us in on a little known secret. All you had to do was tell the young lady that maintained this incredible garden that you would like to buy some of their fruits and vegetables. 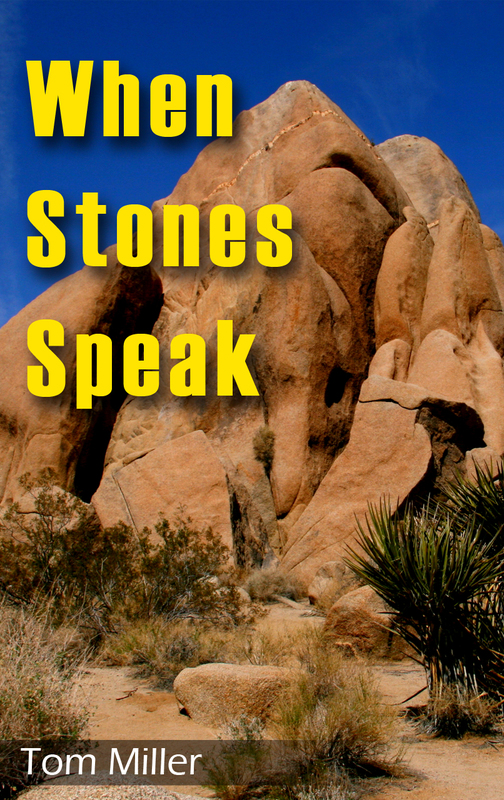 They were happy to sell us most anything we wanted, as it helped defray the cost of maintaining the landscaping. 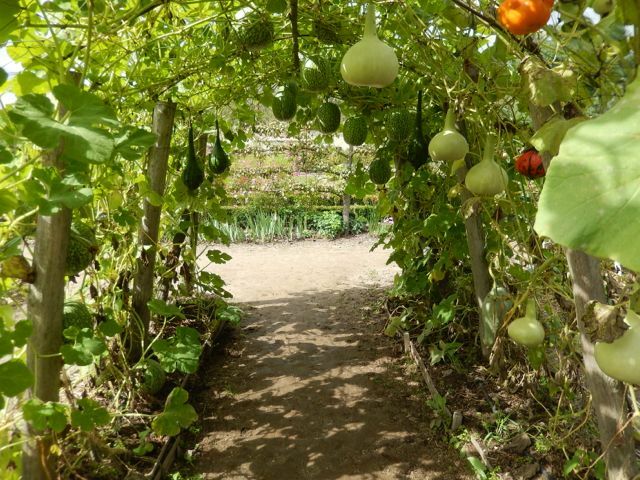 A squash and watermelon arbor.